also speak their vernacular language and pidgin, which is derived from English. Bui Division, one of the 58 divisions in Cameroon, is made up of five Sub-divisions. It has a population of about 480,000 inhabitants. It is made up of one of the largest ethnic groups in the entire country with the Nso tribe as the paramount fondom. 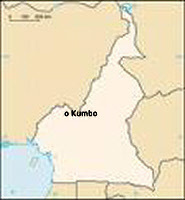 Bui Division (district) is one of the 7 divisions, which make up the North-West-Province in Cameroon. Bui Division is made up of six subdivisions which include Kumbo Central, Nkum, Jakiri, Mbven, Elak and Noni Subdivision and has a population of over 480 000. Seventy-five percent of this population live in rural areas below the poverty line. This is a consequence of their economic dependence on agricultural practices, which have become considerably low yielding following Cameroon’s economic crisis, which began in the early 1980s. This poverty has been increased by the subsequent fall of coffee and cocoa within the world market, which was a major source of income for many farmers in the area.